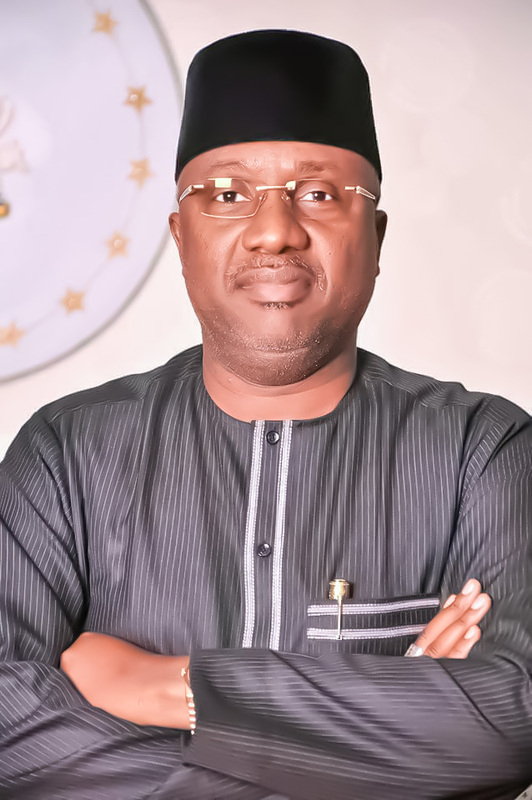 Adamawa State Governor, Mohammed Jibrilla Bindow, has denied calls by the opposition in Adamawa to step down, an allegation which was widely circulated in the social media using local parlance, “Mi Jipaan tan” meaning he should step down. 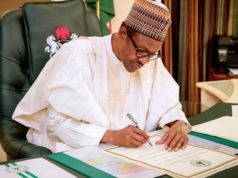 He faulted the claims in a statement by his special Adviser on media, Hunohasi Macauley, and obtained by The Finder Newspaper on Wednesday. Bindow said it was ridiculous that opposition in Adamawa would ask him to step them, he noted that he is not on top of a mango tree, before anyone will ask him to step down. “With three days to the Presidential election and 16 days to the governorship polls, the governor of Adamawa State, Sen Mohammed Umar Jibrilla says he is focused and remains unshakeable as the sole candidate of the APC for Adamawa State governorship election. Sen. Jibrilla remains the people’s candidate having been given the mandate to fly the flag of the APC at the primary elections, which was widely adjudged as free, fair, transparent and very credible. 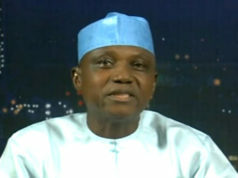 He noted that the people of Adamawa State are happy with, “the pragmatic steps we have made to reclaim our denied glory especially in the provisions of basic infrastructure such as quality road network, provision of primary and secondary health care, revamping our ailing educational system with brand new schools, electricity, water supply, skills acquisition for women and youths, peace and harmony and many more”. The governor noted that detractors and rumour mongers are rife with all sorts of malicious fiction and unguarded comments to create confusion and sway the thinking of voters from doing the right thing. “I urge the good people of Adamawa State to disregard such unpatriotic utterances and join me in the quest to rescue the state from the tight grip of a few unpatriotic elements who hold the erroneous and unrelenting believe that they call the shots”, the statement says. The statement further quoted the governor as saying, “Almighty God is my godfather and He is the one that gives power to whom He wishes. I therefore remain unshakable and no amount of casting of slur on my integrity, political antics and ranting from any quarters can derail my mission or blur my focus”. Having gone to 19 out of 21 local government areas for his campaign, Sen. Jibrilla wishes to register his appreciation for the show of love and solidarity with the massive turn out of people at all the rallies. “I therefore urge all of you to remain steadfast as we shall celebrate the people’s victory for the presidential and governorship elections as well as other elections for our APC candidates”, he emphasised”.